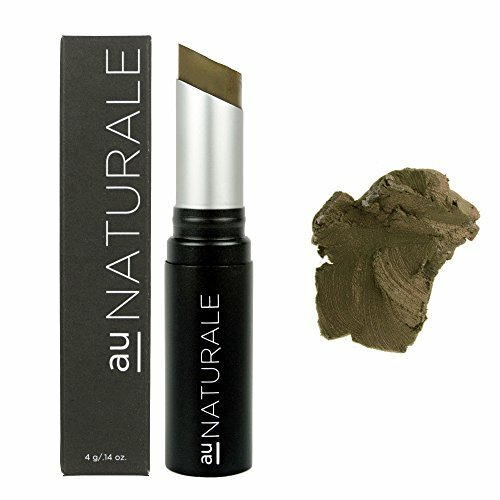 Why we love it: Versatile, saturated and comfortable, the Organic Creme Eye Shadows from Au Naturale are designed to give massive color payoff with effortless application. Flawless colors melt right into the skin while rich essential oils nourish and hydrate. The luxurious, smooth texture of these creme shadows allows them to be used as all-over shadows, eye liners or even brow fillers. For deep color and precision, apply with a shadow brush or, for a more blended, smudgy look, apply with clean fingers. Available in 14 colors. Organic Limnanthes Alba (Meadowfoam) Seed Oil, Caprylic/Capric Triglyceride, Organic Ricinus Communis (Castor) Seed Oil, Euphorbia Cerifera (Candelilla) Wax, Organic Simmondsia Chinensis (Jojoba) Seed Oil, Ricinus Communis (Castor) Seed Wax, Organic Lavandula officinalis (Lavender) Oil, Manihot Esculenta (Tapioca) Root Starch, Titanium Dioxide Iron Oxide, Mica. Formulated without gluten, parabens, fillers, animal by-products, synthetic preservatives or toxins, this organic creme eye shadow is 100% natural, cruelty-free, vegan and made in the USA.